Dimensions: 1 1/8" x 1 1/8" x 1 1/8"
Notes: This is a Botswana agate sphere from Africa. It weighs 1.2 ounces and has a diameter of 1 1/8 inches. Notes: This is an exquisite sphere made from goldstone, a manmade material. Dimensions: 2 1/4" x 2 1/4 " x 2 1/4"
Notes: This is a Brazilian agate sphere weighing 9.6 ounces and just over 2 1/4 inches in diameter. Dimensions: 1 1/2" x 1 1/2 " x 1 1/2"
Notes: Here is a ruby in zoisite sphere with only a very small amount of ruby. It weighs 3.8 ounces and the diameter is 1 1/2 inches. Dimensions: 1 5/8" x 1 5/8" x 1 5/8"
Notes: This is an ocean jasper sphere weighing 3.6 ounces with a diameter of 1 5/8 inches. 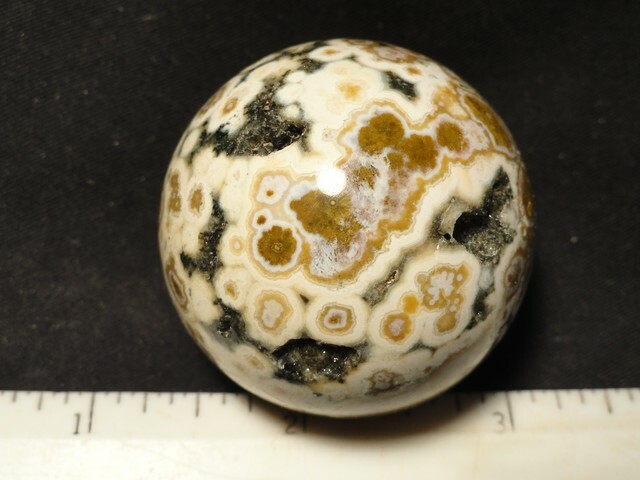 Notes: This sphere is a Brazilian agate with a fine pattern. 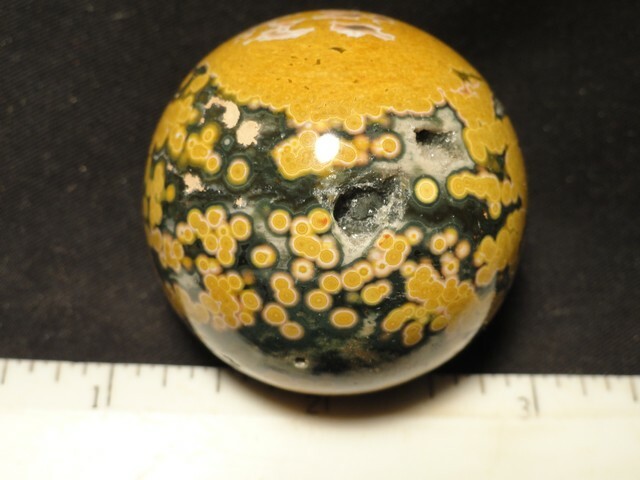 Notes: This is a Picasso jasper sphere. It weighs 3.2 ounces and has a diameter of just over 1 1/2 inches.